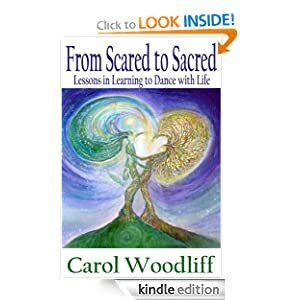 From Scared to Sacred: Lessons in Learning to Dance with Life. Therapist Carol Woodliff demonstrates what can happen when “still small voice” whispers turn into full-blown lessons for abundant living. Using an interesting mix of channelled information and memoir, Woodliff provides an uplifting and entertaining guide to positive living.